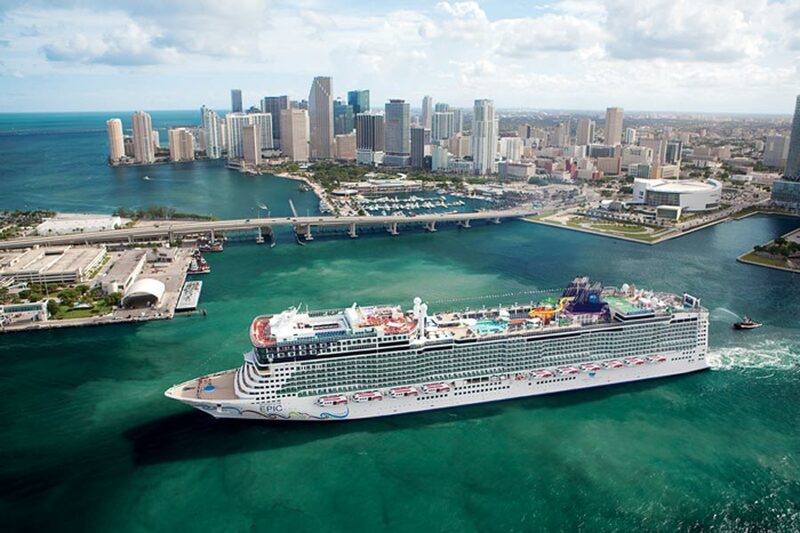 Norwegian Cruise Line have announced the itineraries of the cruise lines largest cruise ship Norwegian Epic. The new itineraries are for the winter season 2015/16. We already knew the ship will be sailing from Barcelona for the winter season but now we know which ports the ship will call at. Norwegian Epic is to sail from Barcelona, Spain all year round and the winter routes look exciting! From November 29th 2015 all the way to April 7th, 2016 Epic will be sailing the Canary islands on 10-night voyages and then sailing the Western Mediterranean on 6, 10, 11 or 12 night voyages. The 10-night Canary Islands and Morocco sailings will include stops at Tangier, Morocco; Las Palmas, Gran Canaria, Spain; Santa Cruz de Tenerife, Tenerife, Spain; Funchal, Madeira, Portugal and Málaga (Granada), Spain. NCL announced six cruises sailing this route departing on November 29, 2015; January 3, 24; February 14; March 6 and 28, 2016. There will also be a 9-night Christmas cruise departing Barcelona on December 19th. On the Western Mediteranean sailing there will be a choice of 6-, 10-, 11-, and 12-night itineraries. The 11-night sailings will depart Barcelona on the January 13, February 3 and 24, 2016. The cruise will make stops at Cagliari, Sardinia, Italy; Carthage, Tunisia; Palermo, Sicily, Italy; Naples (Pompeii), Italy; Civitavecchia (Rome), Italy; Livorno (Florence/Pisa), Italy and Palma, Majorca, Spain. The 10-night sailings will make calls at Cagliari, Sardinia, Italy; Carthage, Tunisia; Palermo, Sicily, Italy; Naples (Pompeii), Italy; Civitavecchia (Rome), Italy; and Livorno (Florence/Pisa), Italy. These cruises will depart Barcelona on December 9, 2015 and April 7, 2016. There will also be a special New year cruises which departs the Spanish city on December 28th, 2015 and will sail a 6-night cruise. The 12-night sailing on March 16th 2016 will be the longest for Norwegian Epic and passengers will be able to experience many different ports in the region. Ports of call include Valencia, Spain; Cagliari, Sardinia, Italy; Carthage, Tunisia; Palermo, Sicily, Italy; Naples (Pompeii), Italy; Civitavecchia (Rome), Italy; Livorno (Florence/Pisa), Italy and Palma, Majorca, Spain. Bookings for these new itineraries will be open in Continental Europe in early April 2014. Feel free to let us know what you think of Norwegian Epics 2015/16 winter season sailing from Barcelona in the comments below.